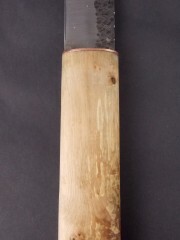 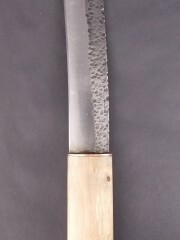 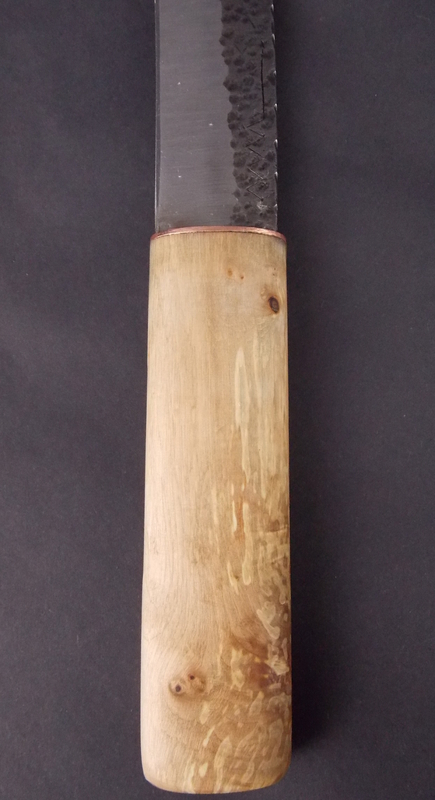 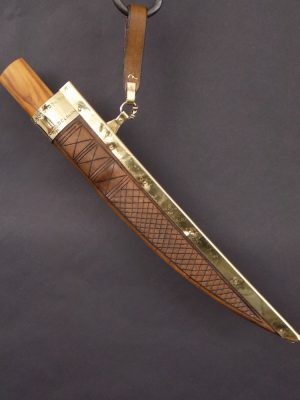 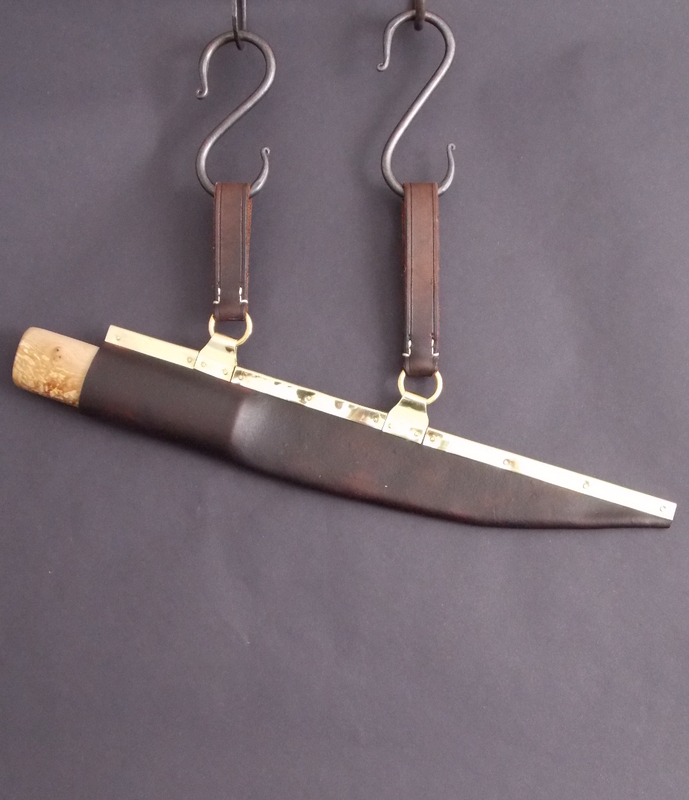 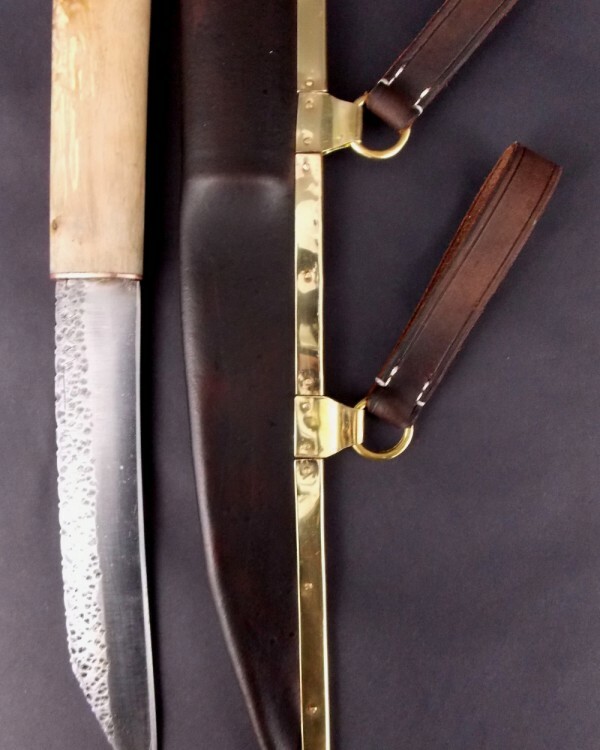 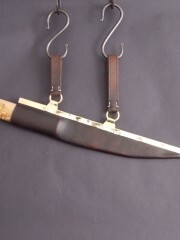 The handle was made from Apple wood with a Copper hilt cap. 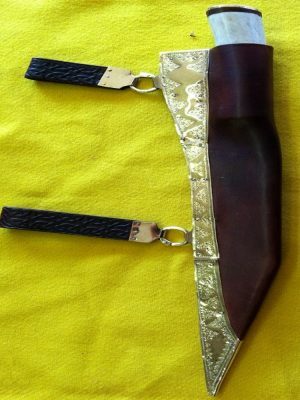 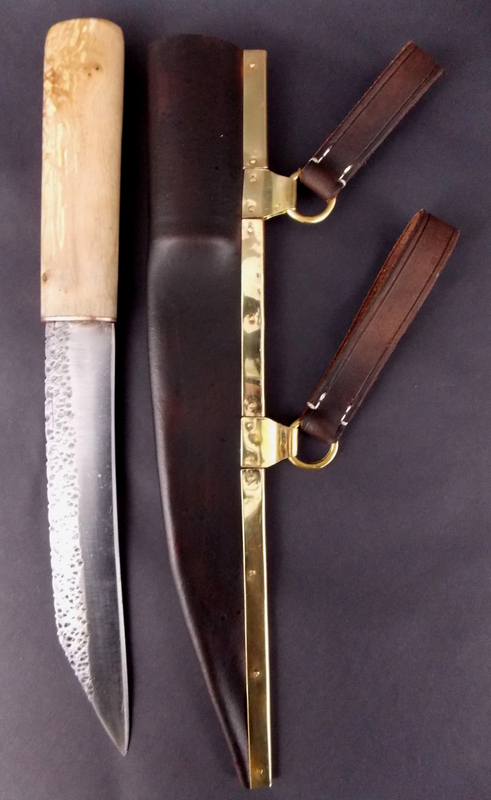 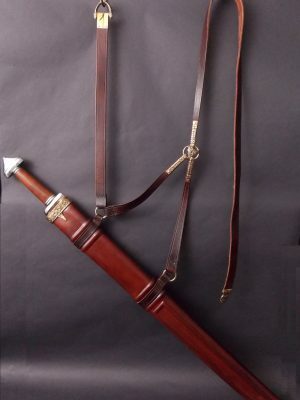 The Sheath was made from wet formed veg tan leather and was dyed dark Brown. 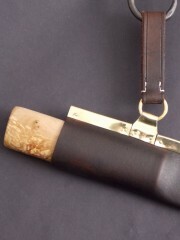 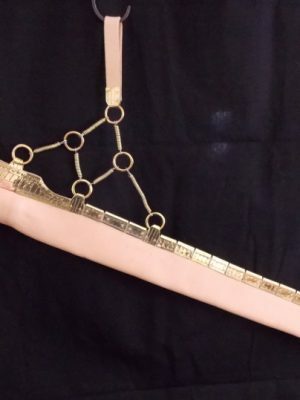 The mounts were made with flat brass that was formed and fitted with brass rivets.